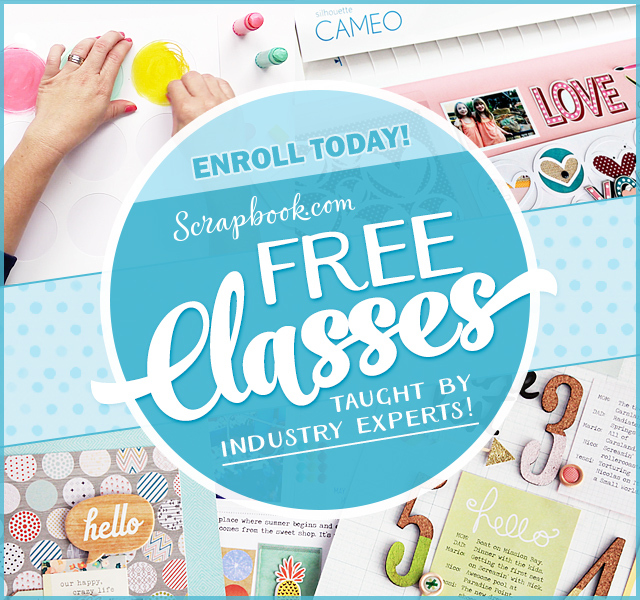 Adding Shimmer to SVG cuts Easily + Giveaway! – New Digital Release and Design Team! We started the month with an amazing blog hop with Paper Tempress and today we continue the celebration with our New Release Blog Hop. Today we introduce more new designers that have joined our team for 2017-2018 and who have many project ideas that I know you’ll love! We have released 3 new stamp sets, a paper pack and an SVG set! 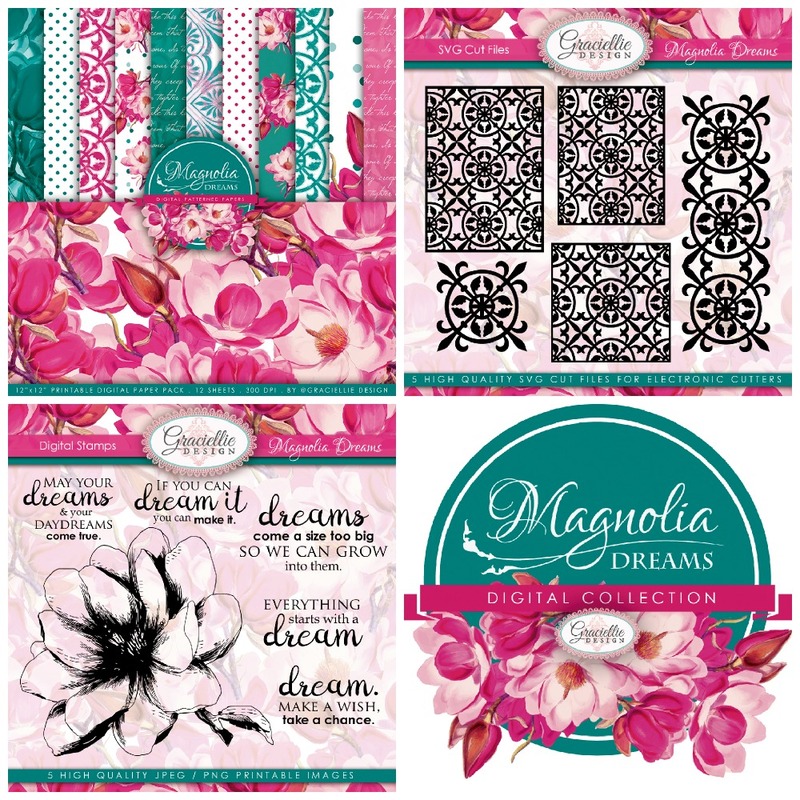 We have a special collection for the first time called Magnolia Dreams that includes coordinating stamps, papers and SVG cuts. It has a beautiful color theme in fuscia and teal. To complement this collection, Paper Temptress has put together a specialty paper pack that coordinates with the theme. You can find out more about that on yesterday’s blog hop! 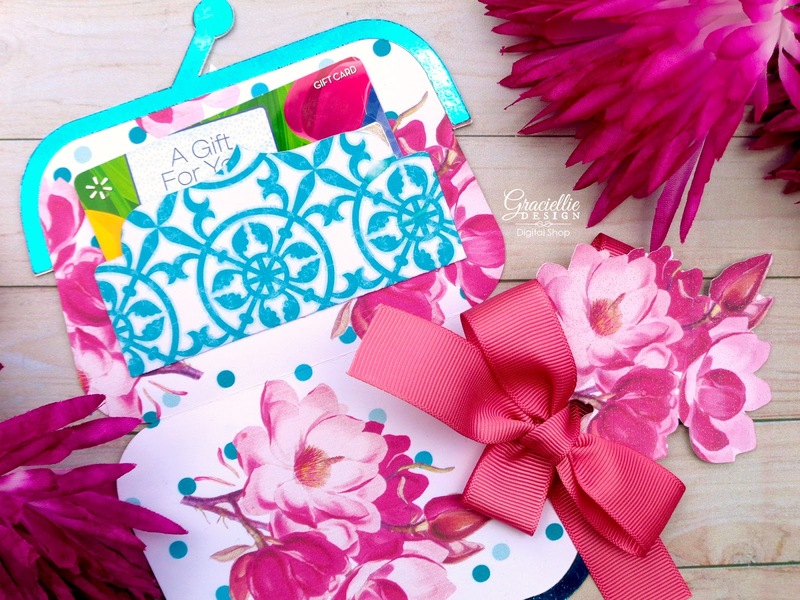 Today I have a card and a gift card holder to share featuring the Magnolia Dreams collection. I’m having lots of fun with the new svg cut files and I love that I was able to design them to coordinate with the pattern in the digital papers. The new SVG files are so versatile. I resized the medallion on Cricut Design Space and cut them in 2 different sizes. The large one was cut from Teal Basis 80# which is a matte cardstock, I used a brush to apply mixed media adhesive and then covered it with Colorbox Winter Frost glitter. The smaller medallion was cut from Self Adhesive Toner Sheets and then foiled with Teal Deco Foil in a laminator. These are just 2 ways you can customize your SVG cuts and as you can see it is very simple to do! I cut the gift card holder with one of Anna Griffin’s newest cartridges, cutting all the elements with our new digital patterned papers. Our digital paper pack comes with a Magnolia branch clipart and those are the perfect finishing embellishments for your projects. I usually like to finish my printed elements with a bit of Glitter Dust spray which not only seals the print but also adds a beautiful soft sparkle. That is another fun way of adding shimmer to your SVG cuts and the best part is this spray won’t smudge the ink on your prints, on the contrary it will protect them and make them more durable. As you can see even the inside of the gift card holder uses digital paper prints. Digital paper packs are the perfect way to customize projects, but my favorite part is you can print them over and over again, so you never run out of your favorite patterns. Leave a comment on the blogs below for a chance to win a $10 off coupon to the shop! 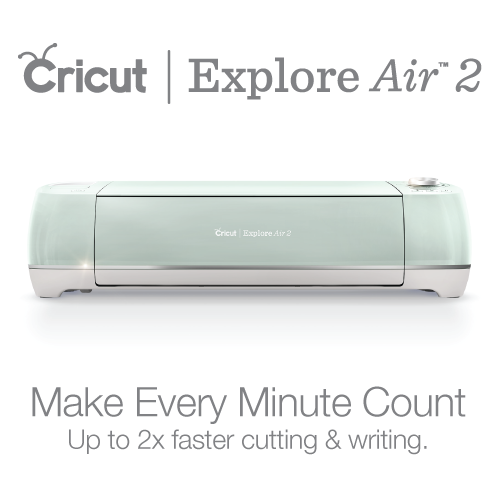 Share with you friends and invite them to join us this month so they have a chance to win too! Thanks for stopping by today! For more ideas and inspiration follow us on Pinterest! For more chances to win, click here and join yesterday’s blog hop too! Before you go, don’t forget to click here and check out all our new products on the shop today. 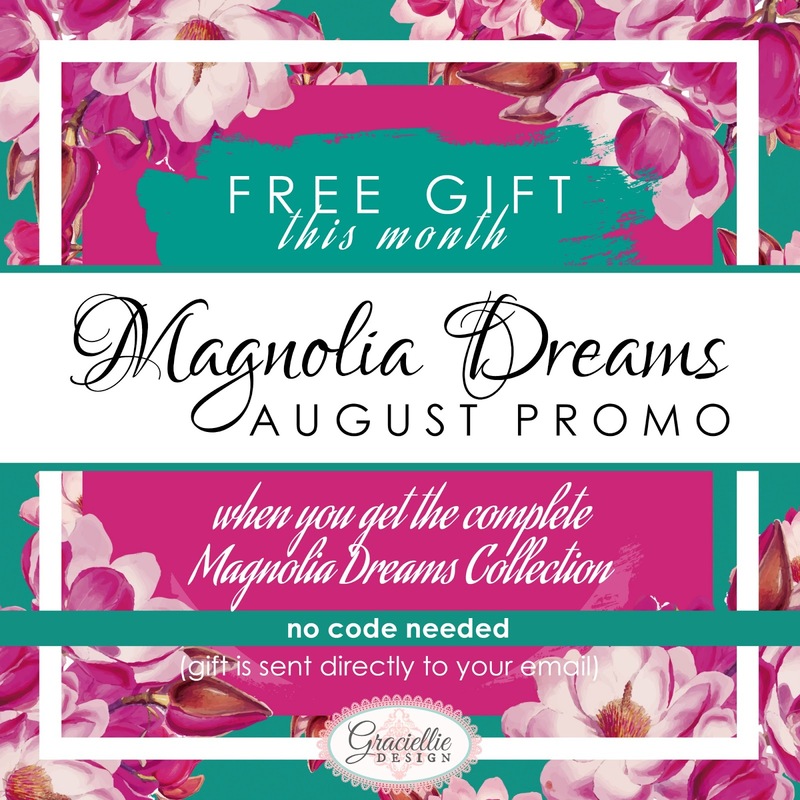 This month when you buy the entire Magnolia Dreams collection you’ll get a free gift (no code needed / gift is sent directly to your email). Thank you very much for counting on me as Dt in this new stage, I feel happy. Love all collection. 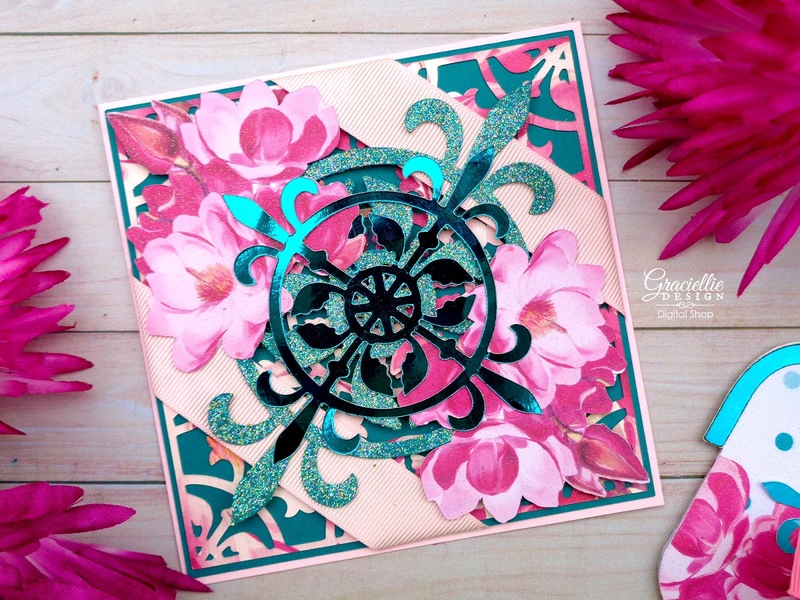 Such beautiful card and the card holder is fabulous!! The Gift Card holder is so beautiful! Fabulous idea! 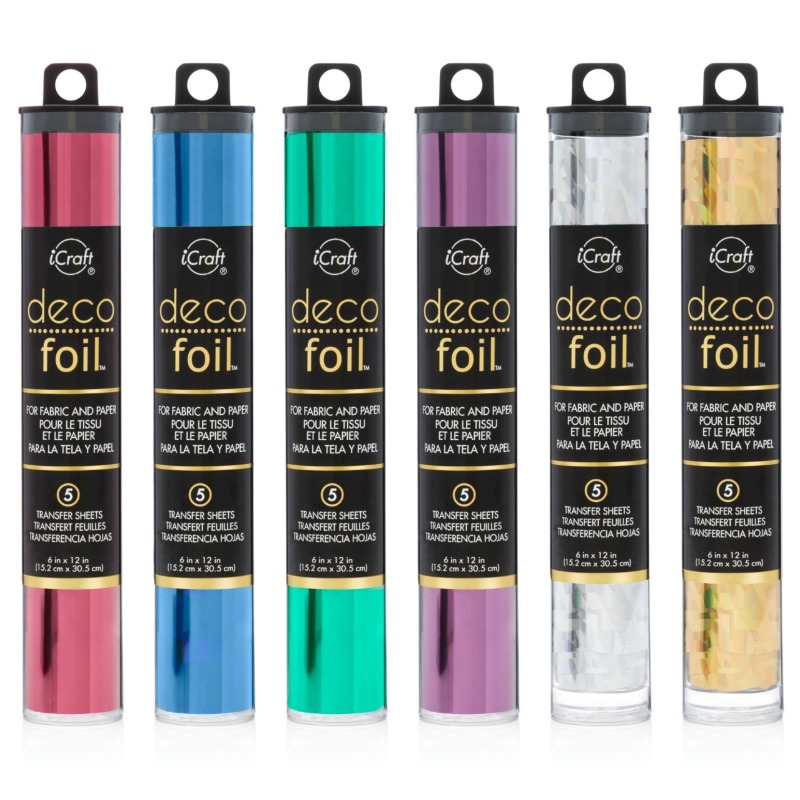 OMG so fun….beautiful project and thanks so much for including our Deco Foil! I love the colors, so beautiful! 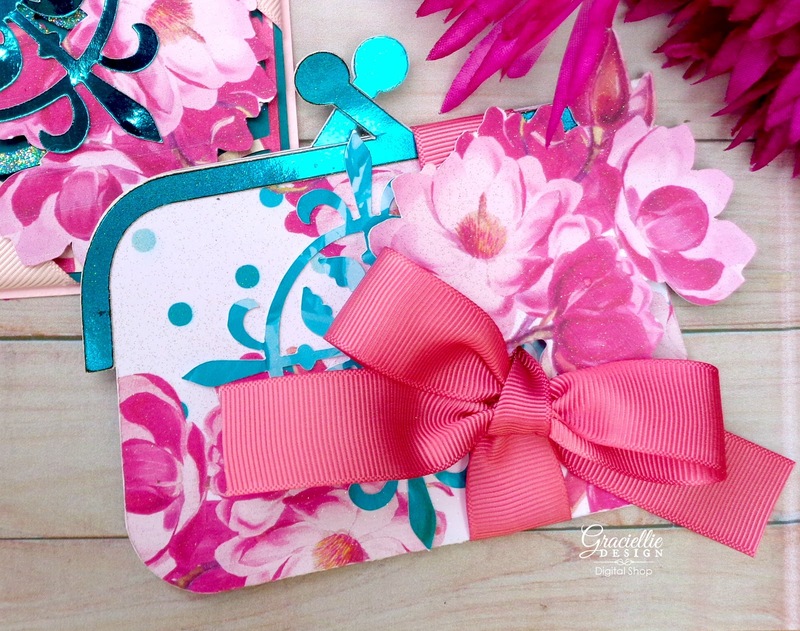 Really fun and creative gift card holder, Gracie! Another stunner! I love the idea of enlarging that medallion to use as a focal point. You're so smart!! That purse card holder is so adorable! Loving all the shimmer too! Beautiful projects, Gracie. I love how you have used the medallions on each project. So happy to be on your team. What a beautiful set of crafty goodness 🙂 Love the way you customized your cuts by using the deco foil and the glitter. Stunning work as always, Gracie!